Tennis can be a game of psychological warfare. Sometimes, your opponents will delay the game (tying their shoes, switching out balls, arguing calls, making a scene of the court, excessively toweling off between points, feigning injury, delaying the game, expressing emotional outbursts) to get you out of your rhythm or mess with your game. While some gamesmanship is within the rules, it probably gets you angry, frustrated and breaks your concentration. These antics may even throw you off your game enough that you lose some sets. Gamesmanship can be defined as: Purposeful distraction by your opponent in attempt to win games by questionable means. Gamesmanship consists of time wasting activities during a match designed to disrupt an opponent’s play. Simply put, some tennis players are just looking to get under your skin during a match. 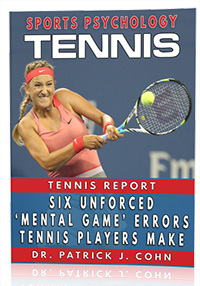 While gamesmanship may not be sportsman-like, it is very common on the tennis court and, in most cases, within the rules of the game. How can gamesmanship affect your game? Gamesmanship or delay tactics are a psychological weapon. These weapons seek to destroy your tennis game and take advantage of your negative emotional responses. Gamesmanship takes the focus away from your game as you watch their antics across the court. Focus throughout a long match is not easy. Disruptive gamesmanship tactics could be that slight distraction that breaks your focus. Gamesmanship can cause you to tense up, lose your concentration, get angry and become frustrated. By the time you experience these negative emotional reactions, your game will be affected or, more aptly stated, infected. 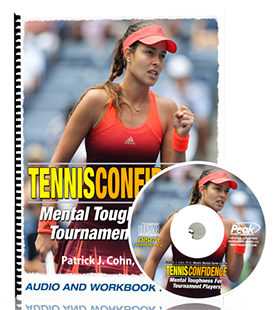 How can you effectively counter your opponent’s gamesmanship tactics? The key to counter gamesmanship is laser focus. Instead of paying attention to what is happening across the net, turn your back to the court and think about what you need to do for the next point. Control your eyes (what you watch) and ears (what you hear). Stay loose. Your opponent will become more frustrated when he realizes you are not buying in to the tactic. I know it’s easy to say… but stay relaxed. It doesn’t pay to become emotional. Laugh at the absurdity of their tactic. Beating the tactic is the best revenge. Think of it this way… your opponent is delaying because he knows you are playing superior tennis. Tip #1: Be prepared – Be ready for any tactics. Determine how you will react to each situation prior to it occurring. 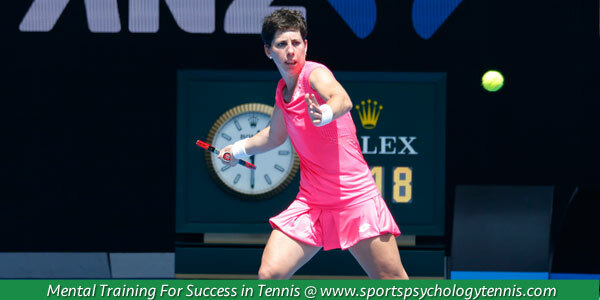 Winning the gamesmanship battle will help you win the tennis match. Tip #2: Understand the purpose of gamesmanship. Your opponent is trying to knock you off your game. Don’t feed in! Laugh it off. Focus on what you can do (your strategy) to win the next point.